After having prevailed before Administrative Law Judge Don Overby, the Department of Public Safety (DPS) appealed to the Court of Appeals. There, the Court of Appeals affirmed Judge Overby’s ruling that there was no just cause for the termination of Officer Harris. The case is Harris v. N.C. Department of Public Safety, 798 S.E.2d 127 (2017). DPS has appealed to the N.C. Supreme Court where the case is now pending. PBA filed an amicus curiae brief before the Supreme Court, and we paid respect to Sergeant Callahan in our brief. The brief appears below. 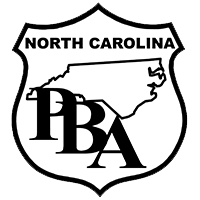 The North Carolina Police Benevolent Association and the Southern States Police Benevolent Association (collectively, PBA) have served the public, our criminal justice system and the North Carolina law enforcement community since the late 1980s. PBA works to promote more effective law enforcement through legislation and advocacy to make life safer for all North Carolinians. A vital component of PBA’s membership are the corrections officers in North Carolina’s prison system. Correctional officers serve in a unique and especially dangerous environment. They serve in often deplorable conditions. They work 24/7 to keep North Carolina’s most dangerous persons under lock and key to protect North Carolina citizens. Law enforcement work in corrections is a hazardous, largely thankless, and completely vital job for the protection of North Carolina and it citizenry. North Carolina’s correctional officers receive little pay and little departmental support, as demonstrated by this case and many others. PBA’s concern in this case is for the rights of the often disrespected and underappreciated correctional officer to not be fired without true just cause for termination. PBA submits that the majority decision below represents both a correct and illuminating statement of North Carolina just cause law, that should be affirmed by this Court. When North Carolina Courts have to slam the prison door shut on hardened criminals, our State force of correctional officers has to then take over and guard inmates on a day-to-day and minute-by-minute basis. Correctional officers are often confronted with horrific misconduct by inmates, including threats, injuries and death by inmates. State correctional officers are often subjected to being spit on, hit with excrement and urine, bitten, battered, stomped, kicked, tackled, cut, beaten, stabbed and like North Carolina Corrections Sergeant Meggan Callahan, murdered, due to inmate retaliation. These unreasonable risks come with everyday work in a prison. Inmates are perhaps the most frequent complainers, seizing upon trivial matters to retaliate against the correctional officers who must manage the inmate population under often extreme stress. Correctional officers on a daily basis deal with things unimaginable to the rest of us, such as being struck with hurled feces and urine with the attending health risks. State prisons are operated by the N.C. Department of Public Safety (hereafter “DPS”). In recent years, DPS has been all too quick in arbitrarily siding with inmates or other accusers and imposing excessive discipline on correctional officers without just cause and without reasonable or complete investigations. This is a crucial case about just cause or lack thereof in the unique employment environment in our state prisons. This case was tried by the Honorable Donald W. Overby, a distinguished Administrative Law Judge and former District Judge who has vast experience and expertise in trying state personnel and officer conduct certification cases. In Judge Overby’s twenty-one-page decision, he found the facts, carefully applied this Court’s mandatory precedent and imposed commensurate discipline. DPS had fired Officer Steven Harris, who has an excellent work history and no prior discipline, for an “insignificant” contact following an altercation with an inmate. As it often does, DPS failed to apply this Court’s precedent and imposed the employment death penalty of termination. Judge Overby made the necessary credibility determinations and found that the punch by Officer Harris “was with such insignificant force that it was practically non-existent.” ALJ Decision, Conclusion 28(k) (emphasis added). Judge Overby further reasoned that it involved “very little force.” Id. “Practically non-existent force” is not just cause for termination. The firing of correctional officers for every instance of “practically non-existent force” would effectively destroy our state prison system because officers cannot survive in that kind of a hypothetical pristine environment. Thousands of officers would be fired under such an unrealistic standard, and those left would likely want to resign in disgust. Instances of “insignificant” contact and minimal force occur with regular frequency in the rough and tumble prison environment. If DPS and the dissent were to have their way, all of North Carolina’s correctional officers would therefore be subject to termination for the slightest force, even when “practically non-existent.”. In order to perform their jobs and protect themselves, correctional officers frequently have to lay hands on prisoners to direct and control them. N.C.G.S. 15A-401(d) and decisional law affords substantial discretion to use force to accomplish correctional missions. Here, the trivial contact, which the Courts below found insignificant and practically non-existent does not rise to the required high level of misconduct to constitute just cause for termination. The dissent essentially promotes the notion of an automatic termination rule for the tiniest of force – which is palpably inconsistent with the entire modern body of North Carolina just cause law. DPS and the dissent overlook a fundamental aspect of this case. As demonstrated by Judge Ervin’s opinion in Pittman v. Nelms, 87 F.3d 116, 120 (4th Cir. 1996) and many other cases, “[n]ot every push or shove, even if it may seem unnecessary in the peace of a judge’s chambers” is actionable. Prisons regularly involve grabbing, pushing, shoving and minor punches. See Wilkins v. Giddy, 559 U.S. 34, 38 (2010) (inmate complaints of a “push or shove” does not state an excessive force complaint); Rhodes v. Chapman, 452 U.S. 337, 348-49 & n.13 (1981) (recognizing that not every deviation from an “aspiration toward an ideal environment for long-term confinement” amounts to a violation). The bottom line of this case is Judge Overby’s finding that Petitioner either did not hit the inmate at all or did so “but with such insignificant force that it was practically non-existent.” Conclusion of Law 28(k). Various types of insignificant contact by correctional officers is routine in contemporary prison environments. While even insignificant force can be grounds for some discipline, such is not an adequate basis for the extreme penalty of termination especially where, as here, there are numerous mitigating factors that establish this case as a minimum commensurate discipline case. Conclusion of Law 28. This Court in Carroll and Wetherington has made North Carolina a commensurate discipline jurisdiction, and Judge Overby and the Court of Appeals below correctly applied the commensurate discipline principle and correctly held that there was no just cause for termination. It was in fact Judge Overby who tried Warren v. N.C. Department of Crime Control, 726 S.E.2d 920 (N.C. App. 2012) and laid the foundation for the three part just cause test that quickly became widely followed. This case presents issues of grave importance to the PBA and the police community: fair and non-arbitrary treatment of officers with commensurate discipline and a body of just cause law that places an appropriate heavy burden of proof on employers. Here, Judge Overby’s analysis and conclusions were thorough and correct, and properly affirmed by Judge Tyson’s majority opinion and joined by Judge Dietz. The dissent’s bright-line approach is palpably inconsistent with this Court’s just cause precedent in both Carroll and Wetherington. A tiny insignificant contact with an inmate is not a termination offense, as the majority below correctly held. The underlying dispute arose over typical prison mess: an inmate creating disturbance by placing feces in a plastic bag which stunk up the cell block. See Final Decision of ALJ Donald Overby, Finding of Fact 9. Therefore, the inmate had to be removed from the cell so that a janitor could clean up. Id. at 10. Petitioner Harris explained that the inmate started to spit in Petitioner’s face. Id. at 13. Harris allegedly punched the inmate in the stomach. Id. at 21. Less than 30 minutes later, the inmate was screened by a use of force medical screening by a nurse, and there was no evidence of “any impact or injury to Walls whatsoever.” Id. at 21. Thus, the magnitude of the inmate contact was obviously very de minimis. Inmate Walls “had a long list of disciplinary infractions during his time at Maury. These incidents included repeated adjudications or admissions of guilt for physical assaults on staff including repeated instances of spitting on staff or throwing liquid on staff….” ALJ Decision, Finding of Fact 9. Correctional Officer Steven Harris is a career status officer with no prior discipline. ALJ decision, Findings of Fact 1 and 4. PBA adopts the facts found as affirmed by the Court of Appeals, with particular attention to the Court of Appeals affirmance of no fewer than 12 separate paragraphs of mitigating factors in favor of Officer Harris. Conclusion of Law 28. The facts include that: (a) Officer Harris did not hit the inmate at all, or (b) Officer Harris hit the inmate with “such insignificant force as to be practically non-existent.” This is followed by the finding that “the only rational conclusion is that based on the totality of the circumstances in this contested case is that Petitioner struck Walls with very little force.” Conclusion of Law 28(l). See Harris v. N.C. Department of Public Safety, 798 S.E.2d, 137-37 (2017). The Court of Appeals below correctly applied this Court’s just cause and commensurate discipline precedent in NCDENR v. Carroll, 368 N.C. 649, 599 S.E.2d 888 (2004) and Wetherington v. N.C. Department of Public Safety, 368 N.C. 583, 780 S.E. 543 (2015). DPS fails to cite, much less address, the controlling Carroll principles in this case, despite its arguments suggesting a radical departure from thirteen years of this Court’s precedent with Carroll and its progeny. DPS challenges the majority determination that ALJ Overby correctly determined that DPS failed to prove just cause for termination. The DPS New Brief at 19-20 seeks to implausibly stretch the insignificant contact as some sort of cruel and unusual punishment and constitutional violation prohibited by the Eighth Amendment. “Insignificant” force that was “practically non-existent” as found by Judge Overby in a prison is common, and expected. Because of the highly stressful and dangerous prison work environment, correctional officers are often prone to errors and making mistakes. Simple mistakes with no resulting injury are not the sort of “substantial misconduct” typically necessary to prover just cause for termination. 1) The correctional environment where officers serve at grave risk often results in a “push or shove” in managing inmates; a push, shove or insignificant punch is generally a minor infraction and certainly not a firing offense. 2) North Carolina’s doctrine of just cause includes a multi-factored test where the ALJ “balances the equities” in just cause analysis. Judge Overby found that the punch was with insignificant force and practically “non-existent” and then correctly applied all the many mitigating factors, balanced the equities and correctly concluded that there was no just cause for termination. B. THE REPEATED EFFORTS BY DPS TO RADICALLY CHANGE FUNDAMENTAL JUST CAUSE PROTECTIONS BY ATTEMPTING TO OVERRULE THE CARROLL FORMULA MUST BE REJECTED BECAUSE CARROLL IS SETTLED LAW THAT HAS APPROPRIATELY GUIDED LOWER COURTS WITH A BALANCED EQUITY-BASED APPROACH FOR THIRTEEN YEARS. Implicit in the DPS position here is another strike at this Court’s historic precedent in Carroll. DPS has a well-established history of appealing the same issues from case to case, without due regard for the lack of success of those arguments in prior cases. On a general level, DPS has struggled mightily in recent years to attempt to limit the rights of State police officers. Wetherington, Warren, Bulloch, and Shields, as relied upon by Judge Overby, are all DPS cases where DPS essentially refused to accept this Court’s precedent of the commensurate discipline principle and even claimed that North Carolina Courts lack the “requisite institutional knowledge” to review DPS personnel decisions. The just cause protections in N.C.G.S. 126-35 and the body of just cause decisional law is the only general protection that officers have from the unemployment line at the whim of DPS management. In case after case, rather than resolving the dispute or simply accepting the judgment of the Office of Administrative Hearings (“OAH”), DPS appeals, over and over, to the Court of Appeals and this Court. In Clark v. N.C. Department of Public Safety, 791 S.E.2d 661, review denied, 784 S.E.2d 509 (2016). DPS lost unanimously all the way through the Court of Appeals. Yet it still petitioned this Court for review of a case where it fired a nurse who worked in understaffed and dangerous conditions at a DPS prison – and who warned DPS about those conditions. When DPS ignored those warnings, and an inmate died, the DPS typical reaction was to shield its higher-ranking officers from blame and instead to scapegoat and fire the officer on the scene – and in Clark’s case, pursued her all the way to this Supreme Court. In Shields v. N.C. Department of Public Safety, 781 S.E.2d 718, review denied, 784 S.E.2d 176 (2016), DPS took a simple correctional officer demotion case from the OAH, to the Nash County Superior Court, and to the Court of Appeals. Each time, DPS lost – again unanimously. Yet DPS still appealed to this Court, claiming injustice in a case where the employee in question had long since retired. The logical import of the DPS arguments is that North Carolina Courts are not competent to adjudicate state personnel cases and that such cases should be left to the state agencies as they know what is best. DPS cries to our appellate courts for its curious version of “justice” while heaping disrespectful criticism on those very courts in its filings. As demonstrated by Harris’s Brief in Support of Motion to Dismiss Appeal, DPS (after losing before five different judges at three prior levels of review), in its Shields petition, complained of North Carolina courts “lacking requisite institutional knowledge” to overturn DPS disciplinary decisions (Shields Petition, p. 8); engaging in “unfettered judicial second-guessing” of DPS (Id. at p. 12); simply “decid[ing] it is in their purview to determine whether [the disciplinary action] was appropriate” (Id. at p. 14); and claiming that that DPS officials, “the people directly and primarily accountable to the public for running state agencies,” should not be “second-guessed by judicial and quasi-judicial officials unburdened by those responsibilities” – namely, our State courts. Shields Petition, p. 15. On the other hand, PBA has another view: the North Carolina Courts have jurisdiction to administer justice and are needed to protect the rights of police officers. DPS’s stated lack of respect for the role of North Carolina courts in judicial review of unlawful personnel actions against police officers is astonishing in light of the historic role of judicial review in North Carolina from Bayard v. Singleton, 1 N.C. 15 (1787) to the present. The jobs and careers of North Carolina police officers is surely the business of North Carolina Courts. We wouldn’t need so much judicial review if DPS would simply respect and apply this Court’s precedent, particularly in Carroll and Wetherington. DPS’s litigiousness is not limited to just cause discipline cases. Just last year, DPS attempted to defend what was determined to be a politically motivated firing of an ALE Agent all the way through the Court of Appeals, again losing every step of the way. N.C. Department of Public Safety v. Ledford, 786 S.E.2d 50 (2016). The Courts found that Officer Ledford was a “marked man” politically. Cf. Newberne v. N.C. Department of Crime Control and Public Safety, 359 N.C. 782, 618 S.E.2d 201 (2005) (whistleblower protection for DPS employee). As for this Court, DPS argued for some 45 pages of its Brief in Wetherington v. N.C. Department of Public Safety, 368 N.C. 583, 780 S.E.2d 543 (2015) that this Court should abolish twenty years of its own precedent and review just cause determinations in State employee discipline cases on a “whole record” test with deference to the agency as opposed to the well-established “de novo” review of such cases. This Court declined to radically change the law in Wetherington as requested by DPS, but rather clarified just cause law by further enunciating just cause factors. Here, those just cause factors enunciated by this Court were relied upon by Judge Overby and the majority of the Court of Appeals, but dismissed by the dissent. If the Court of Appeals decision is allowed to stand, a new era of public employment will emerge wherein important personnel decisions are not made directly by expert agencies, but remotely by an Administrative Law Judge who may lack the requisite institutional knowledge to understand the consequences of their decisions on the effective operation of State government. (Emphasis added) DPS New Brief, p. 3. Moreover, DPS makes these arguments even though this is an appeal from a dissent on two rather specific points. Much of what DPS argues in its New Brief is therefore not even properly before this Court. On behalf of its members, PBA presents the question: how many times may an agency delay justice, increase expense, and burden State employees with unnecessary legal costs by repeatedly and unsuccessfully appealing the same issue, without running afoul of the “frivolous appeal” provisions of Rule 34? See McGowan v. Argo Travel, 131 N.C. App. 694; 507 S.E.2d 601 (1998). While the phrase “old wine in new bottles” is a legal cliché, DPS’s arguments here do not even meet that minimal bar. DPS serves up the old wine under circumstances where the rules of this Court limited its appeal to the rather narrowly based dissent. And in the end, DPS’s arguments come down to the same old thing: North Carolina Courts are essentially incompetent to review DPS’s employment decisions. This demonstrates the critical role of this Court and the Court of Appeals in reviewing DPS’s patterns of lawless personnel actions. I respectfully dissent from the majority's assertion that the standards of review provided in N.C. Gen. Stat. § 150B-51 apply to this case. I further dissent from the majority's conclusion, in its application of the three-prong "just cause" analysis created by this Court in Warren v. N.C. Dep't of Crime Control, 221 N.C. App 376, 726 S.E.2d 920, disc. review denied, 366 N.C. 408, 735 S.E.2d 175 (2012), that Petitioner's actions in the present case did not give rise to just cause for his termination — the disciplinary action chosen by the agency. Harris v. N.C. Department of Public Safety, 798 S.E.2d 127, 139. PBA here concentrates largely on the second question of whether DPS proved just cause for firing Officer Harris. However, PBA also strongly but respectfully disagrees with the standard of review suggested by the dissent. In an administrative proceeding, it is the prerogative and duty of the ALJ, once the evidence has been presented and considered, to determine the weight and sufficiency of the evidence and the credibility of the witnesses, to draw inferences from the facts, and to appraise conflicting and circumstantial evidence. On appeal, [an appellate court] "does not have the right to weigh the evidence and decide the issue on the basis of its weight. The court's duty goes no further than to determine whether the record contains any evidence tending to support the finding. Deese v. Champion International, 352 N.C. 109, 115; 530 S.E.2d 549, 552 (2000). It is the job of the ALJ to find facts. It is simply not the job of an appellate court to do so. Perhaps, as the follow up language suggests, the dissent engaged in this fact-finding exercise to argue that “the force of Petitioner’s punch has little relevance to the just cause determination in the present case.” Harris at 143. PBA finds this point almost as puzzling as it would equate, for just cause purposes, “such insignificant force as to be practically non-existent” with a savage beating or a crippling of an inmate. This is contrary to this Court’s directive that the “severity of the violation” must be considered. Especially given that the dissent gives no citation or other legal support for the contention that the force of the contact has “little relevance,” the undisputed law of North Carolina is that just cause cases are decided on an individual basis. Harris at 134, citing Carroll at 669. The magnitude of the force is of monumental relevance. The dissent, by contrast, supports a non-discretionary “bright line” test for prisoner-officer interactions in which “insignificant” contact is the equal to murder or maiming. This is not the law. Carroll taught us: “Just cause is a flexible concept, embodying concepts of equity and fairness.” Id. [T]he severity of the violation, the subject matter involved, the resulting harm, the trooper's work history, or discipline imposed in other cases involving similar violations. We emphasize that consideration of these factors is an appropriate and necessary component of a decision to impose discipline upon a career State employee for unacceptable personal conduct. Wetherington at 358, 592. The dissent observed to the contrary. The majority places great weight on various “mitigating factors” found by the ALJ, including Petitioner’s good prior work history.” Harris at 142. Thus, the dissent contends that precisely those factors which are “appropriate and necessary component[s] of a just cause decision to impose discipline on a career State employee” was, in effect, irrelevancy. To suggest that work history and mitigation factors are not important runs afoul of core principles of Carroll, where both of those principles were identified as being just cause factors by this Court. Further, N.C. State Personnel Policy provides that work history and mitigation evidence are just cause factors. See N.C. State Personnel Manual, Section 7 at 11. See www.oshr.nc.gov Factor number Four is the employee’s work history. Dismissing required consideration of the Wetherington factors as of “little relevance” constitutes a failure to apply this Court’s precedent. The “mitigating factors” that the dissent dismisses as having “little relevance” were twelve separate paragraphs (Finding 28) of evidence against the premise that Petitioner struck the inmate at all, or that if he did, did so with insignificant force as to be non-existent. With all respect to the dissent: yes, it does matter that an inmate with a history of complaining (falsely) of assaults made no complaint of the Petitioner doing so here. It does matter that minutes after a very large man (Petitioner) hit a very small man (the inmate), there was absolutely no evidence of that in use of force screening minutes after the incident. It does matter that the “three correctional officers who unanimously testified as to Petitioner’s unwarranted use of force,” as the dissent states, were captured on video seconds after this supposed assault – walking and laughing with Mr. Harris in a perfectly ordinary fashion, with a smiling – and apparently un-distressed – inmate leading the way. The dissent would apparently have this Court effectively ignore all of this evidence – evidence not subject to dispute – and dismiss it as irrelevant. That is what this Court has, quite specifically in Wetherington, instructed that ALJs and other reviewing authorities are not to do. In addition to the compelling analytical factors in Carroll and Wetherington, other cases set out tests for determining the magnitude of discipline. See Douglas v. Veterans Administration, 5 M.S.P.B. 313, 329-32 (1981). The Douglas factors have been widely followed for over thirty years. See Isidore Silver, Public Employee Discharge and Discipline (3rd ed.) This treatise was approvingly cited in Carroll. Of the twelve denominated Douglas factors for suggested consideration in determining the magnitude of discipline, each of them militate in favor of Officer Harris. Those include the “nature and seriousness of the offense” and mitigation factors. Correctional officers regularly have a difficult and dangerous job. Courts – like the dissent here – should not create appellate facts, or create “bright line” tests for termination that equate insignificant contact on one hand with maiming on the other. The North Carolina just cause and commensurate discipline principles involve a sliding scale formula without automatic rules. Carroll, Wetherington and their progeny provide for the use of broad analytical just cause factors for ALJs to apply on a case by case basis. Judge Overby did so and complied with this Court’s precedent. Prior to Carroll, state police officers and employees were subject to a non-defined type of subjective just cause that did not have determining principles. For many years, DPS wreaked havoc on the families of many police officers through slipshod investigations, and terminations for truly trivial matters. For decades, the careers of State Troopers employed by DPS were dependent upon the oft-stated “gut of the colonel” which led to a multi-decade embarrassment of massive disparate treatment and wrecked lives of many Troopers. Carroll, Wetherington and their progeny changed that arbitrary approach by enunciating modern guiding principles and just cause factors. DPS apparently still wants crucial personnel cases decided by either management’s “gut” or perhaps even worse, automatic termination tests as advocated by the dissent. There is no legitimate basis for North Carolina to return to that bygone era of terminations for trivia. Where, as here, force is so” insignificant” to be “practically non-existent” or trivial, the Carroll/Wetherington formula protects officers like Steven Harris from excessive discipline. That multi-factor just cause formula, as thoroughly applied by Judge Overby and the majority of the Court of Appeals, did exactly as it was supposed to do –and supported commensurate discipline. Wherefore, PBA respectfully requests that this Court affirm the decision of the Court of Appeals and reaffirm the Carroll/Wetherington factors and principles. Here, of course, the “agency” is the Administrative Law Judge, not DPS. N.C.G.S. § 150B-34.